On Aug. 26, 2016, San Francisco 49ers quarterback Colin Kaepernick received signifiant media attention for kneeling while the national anthem played before games. Kaepernick sought to call attention to the oppression of people of color and the issue of police brutality in the United States. He received both support and criticism in doing so, and this has since become a subject of controversy. The protest is not limited to the NFL, however, as spectators saw at the on Thurs., Sept. 28, at the football game against ETHS. 18 ETHS players and 1 NT player knelt during the national anthem that played before the game. Before the game began, ETHS superintendent Eric Witherspoon addressed the crowd. “The Superintendent gave a speech about race and the things going on in the United States right now. 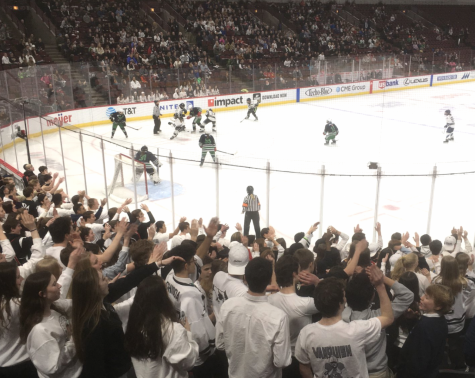 During that, the entire Evanston team was down on one knee,” said New Trier freshman football coach Michael Clough. Witherspoon’s statement focused on inclusivity and community. “We must continue to fight for equality. We must continue to love. We must continue to speak out for injustices wherever they exist,” said Witherspoon. After Witherspoon’s statement, the national anthem played and 18 of Evanston’s players remained kneeling. 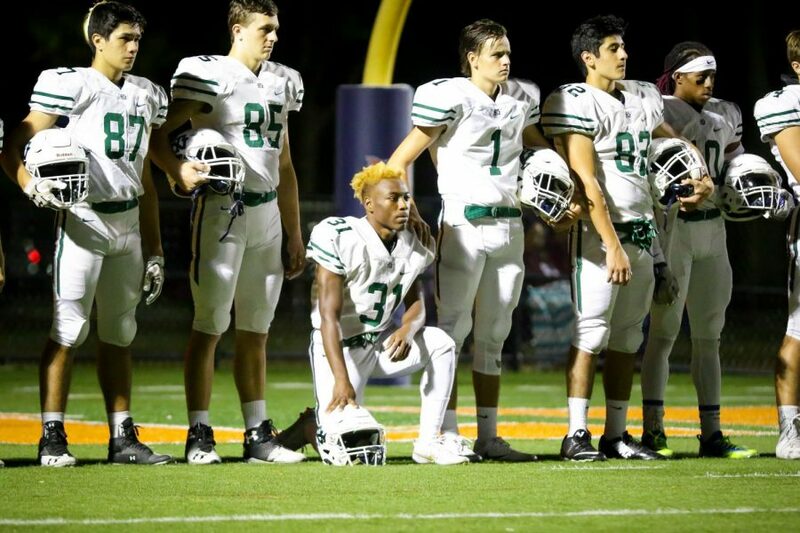 Jonathan Taylor, a New Trier junior running back/defensive back, knelt during the anthem. 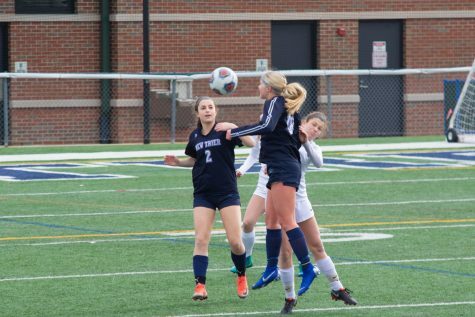 Taylor said, “The day before the game, Coach Doll talked to everyone on the team about how the Evanston team was maybe going to take a knee. I decided myself to talk to Coach Doll the next day and see how he felt about me taking a knee.” He continued by adding that both Doll and his teammates supported his decision. “It was optional and I am positive that it was the same for every other player on the team,” said Taylor. Clough was not surprised by the number of Evanston athletes that took a knee. “Evanston’s a racially diverse school so there’s a lot of different views and opinions on what’s going on in the world and it reflected what’s going on in their school. New Trier won the game 27-17 and have a record of 4-2 overall and 2-0 in conference. She added that these protests are about race. “These predominantly white people protesting are annoyed and honestly frustrated that some black man has the nerve to stand up for what he believes in.